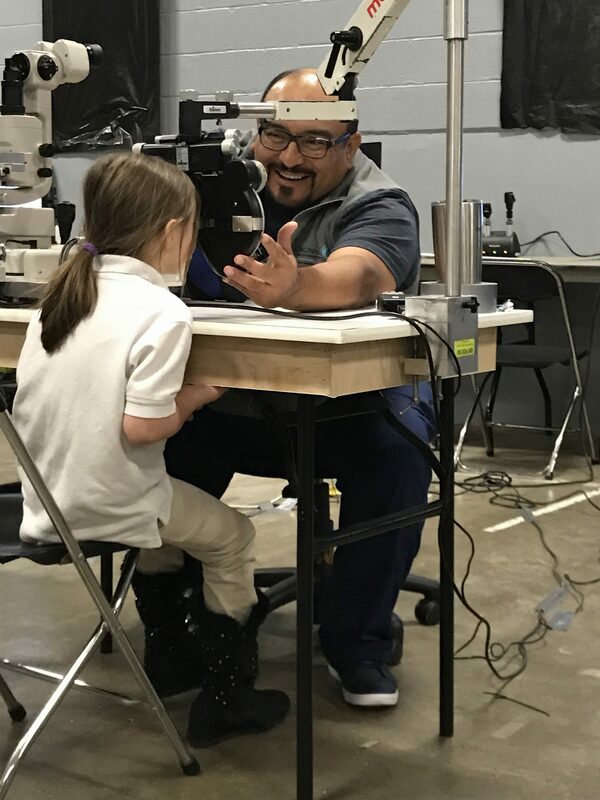 Dr. Mike Mendoza got a full Navy ROTC Scholarship and earned a Bachelors of Science from the University of Houston before going on to optometry school. After his freshman year he was challenged to come in first or second in his class for that sophomore semester. Now Mike was not very interested in studying at that time and had to decide how much he wanted to invest in school, how much time he was willing to sacrifice, and what he wanted his future to look like in the end. So he buckled down making every effort to answer that challenge and complete his mission of being top in his class that semester. Mike’s determination and sacrifice paid off. Not only was he top in his class but that determination saw him through medical school. That drive he found in the Navy seeps into his life years later as he shares advice with his patients to never give up. Determination will help you to overcome great obstacles and sacrifice is the toll on the road to success. In the end if you apply yourself and never give up you will complete the mission. Mission is such a powerful word. Originally meaning an act or an instance of sending, it is now a word that we use to describe our clinics because we send a body of persons out to perform a service. Our military uses it to define the task(s) for the people that they send in service of our country which is echoed all over the walls where we are hosted by Xavier University. Mission also means a calling or vocation. Many of our volunteers here have felt that calling for the optical field. 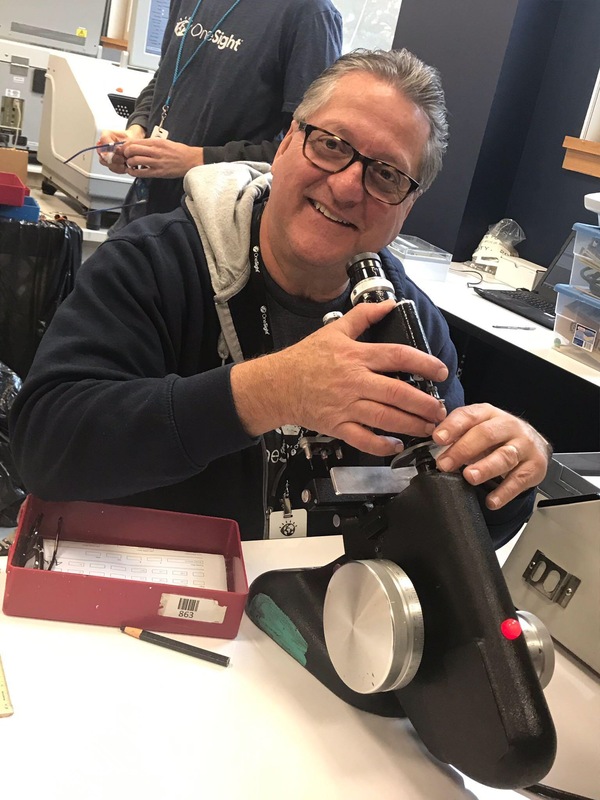 Gary Wolf is one of our 40 volunteers and Gary felt that calling when he was recruited to Pearl Vision in the 80’s and became a Licensed Optician in 1984. He is now one of our Store Managers for Sears Optical in Maryland. Before all that Gary served our country in the Navy for four years of active duty on an Anti Submarine Warfare Carrier as a Search and Rescue Swimmer from 1976 – 1980. He had many thrilling stories of adventures he had across the globe as he saved peoples lives. My favorite was when an F14 Tomcat tried to land on the aircraft carrier but the tail hook did not catch and stop the plane. The plane did not have enough fuel to stay airborne so it nosed dived right off into the water. The pilots ejected as the plane started to pull up putting them in serious danger. Gary’s crew took a helicopter down to the water to save them. Gary’s service was extraordinary and I was honored and moved that he shared it with me on Veterans Day. Gary’s time in service of our country developed his ability to think of other people. He learned how to serve there and continues to serve both locally and abroad with OneSight. Our OneSight clinic is in an Reserve Officer Training Corps space lined with Army Slogans. Being in this space and talking with our two veteran volunteers as well as the ROTC students has made me see the similarities in values between our organization. Mission runs through the messaging on the walls that remind me of why I was sent here. Sacrifice echoes through the words of our volunteers. Selflessness is displayed over and over as 86 patients go through their eye exams with 95% needing and receiving glasses. Determination and humanity are legacies of military service imprinted on both Mike and Gary, exemplified in the military mantra of No Man Left Behind and OneSight’s mantra “We Will Not Stop Until The World Can See”, and made clear to me today as we gathered in service of this community and remembered those who have served us.